It was a big weekend for the HPP crew! Seven of our athletes participated in Ironman Mont-Tremblant on August 21, 2017. The weather looked iffy a few times over the weekend but the rain stayed away during the race. It was hot and the wind picked up during the latter part of the day making the bike course a challenge for athletes who were in the 10-16hour finishing range. 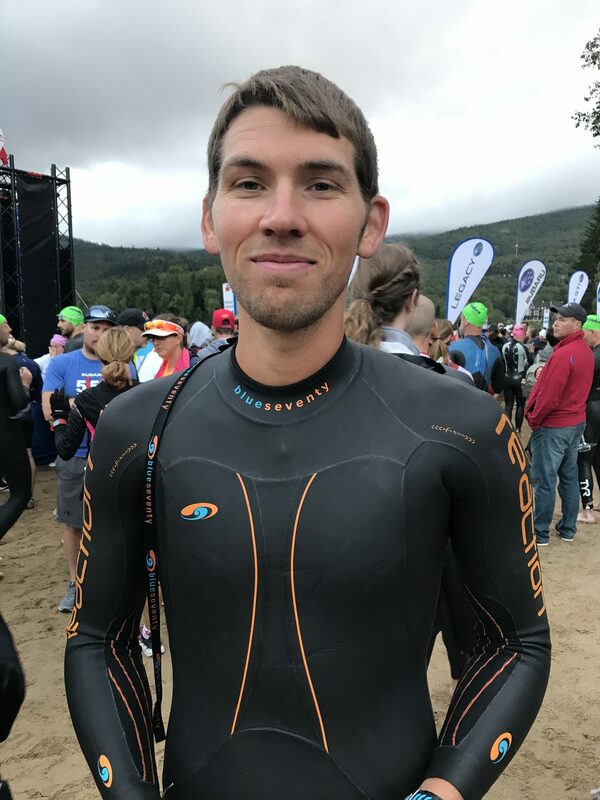 The first wave of Ironman Mont-Tremblant started at 6:35am and featured HPP resident pro triathlete Jordan Monnink competing in his first ever full iron-distance triathlon. Jordan and HPP coach Ian Fraser worked together for months preparing for this race. Jordan has been successful at 70.3 events since he turned pro 3 years ago but he had never tackled the full-distance. Doubling down on the distance meant that Jordan needed to work on his endurance ability on both the bike and run. Before this event, the longest run Jordan had ever done in his life was 33km! While 70.3 events are still considered long-course events, the effort is significantly different. At Jordan’s level he can complete the bike in under 2.5 hours and the run in less than 1.5. This means he can push himself much harder. With a 2.5 hours bike split, Jordan can sustain nearly 90-95% of his threshold power. Doubling the distance meant that Jordan needed to develop a stronger endurance ability and reduce his overall effort slightly. Jordan finished the swim in 10th place with a solid pace of 1:28min/km. During the bike split he managed to catch some of his competitors moving into 6th overall at the end of the bike leg. Once on the run Jordan quickly moved into 4th and then finally 3rd position posting some of the fastest run splits of the day. Until the 37.2km marker Jordan had the second fastest run split in the field, second only to the eventual winner. All-in-all Jordan had an excellent performance in his first full iron-distance event. 3rd place is no small feat! In the amateur field many of our athletes were also competing in their first iron-distance event. Chris Sliwka had completed IM Lake Placid 10 years ago at the age of 28 but suffered from post-race medical issues. He decided to give Ironman another shot and began working with us at the beginning of this year. Despite being diagnosed with 3 labrum tears in his hip, which plagued him for all of his IM training, he still managed to finish the race 17min faster than his first IM event. His goal was to break 12 hours and he did so with 34s to spare! And with no visit to the medical tent this time! Johnny V looks like he’s having a blast on the bike! Jess Dempsey and John Villeneuve both completed Ironman Mont-Tremblant as their first IM event. Jess, whose goal was to finish in under 14.5hours accomplished this goal with 4:54min to spare! 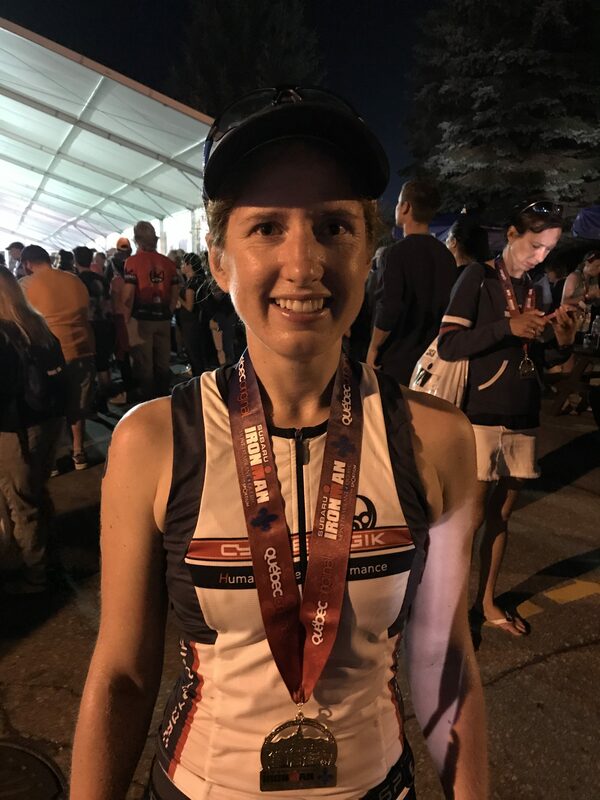 Her finish time is only a few minutes longer than double her 70.3 PB, an impressive feat! John, a former power lifter turned triathlete, completed the distance in 15:25. His goal was to have fun and finish –judging by the pictures he certainly had a lot of fun! Michelle Nadler was our top-placed AG athlete finishing 10th in her age group. Don Anderson and Darcia Kmet also finished with strong times coming in under 14hours. 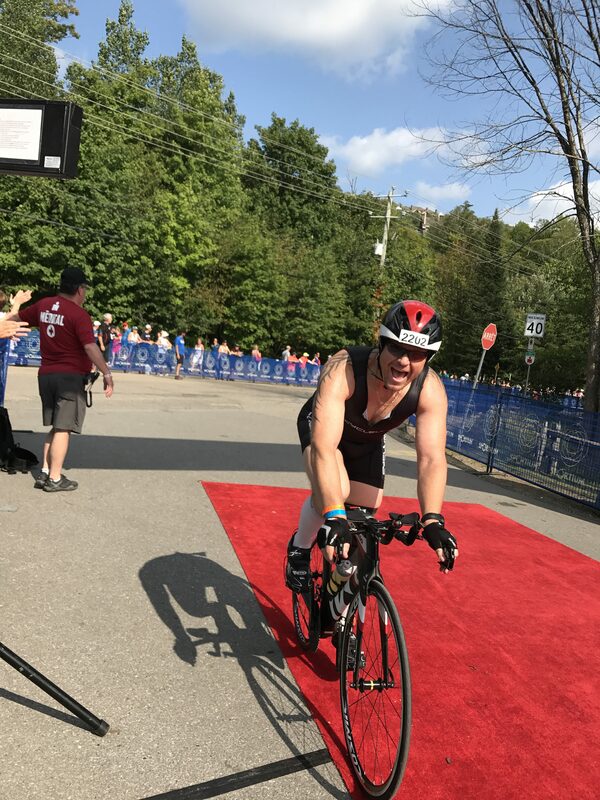 Overall it was great day at Ironman Mont-Tremblant and all of our athletes finished within their target –some even exceeded their own expectations! For some their season is now over but a few will be tackling Somersault Events The Canadian Half-Iron just two weeks after Tremblant!